Home News “College Radio. Now. More Than Ever” 2nd PSA series now released nationwide to college radio! “College Radio. Now. 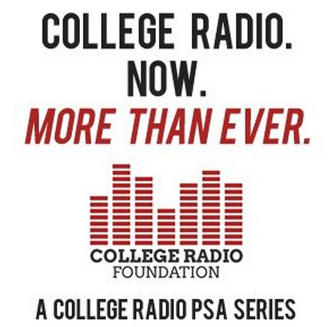 More Than Ever” 2nd PSA series now released nationwide to college radio! Last year the College Radio Foundation launched a new PSA campaign called “College Radio. Now. More Than Ever.” This is a PSA series created to be played by college radio as a reminder to its audience of the importance of college radio to those that make and listen to it. Today we proudly launch our 2nd series of our “College Radio. Now. More Than Ever” PSAs – and this time we hear from those who work in the radio industry about how important college radio is for them. Industry professionals such as Elvis Duran, Little Steven, Shelly Wade, JJ Kincaid, Ian Christe, Ross Brittain and Jim Kerr all lend their voices in support of college radio! If you do decide to play these on air, please let us know that you have by emailing Lori Quicke: lori@collegeradio.org so we can keep track of how it’s doing. We hope you will add them into long-term rotation alongside our first PSAs from last year. More PSAs will be coming in 2019. The series is also designed to challenge the assumption that college radio is perhaps dying or diminishing. “This is a timely reminder to those on and off campus that college radio is still changing lives and providing music and programming that you won’t hear anywhere else,” says Lori Quicke, Executive Director of the College Radio Foundation. “For many, college radio is the starting place for their career, and college radio gives them the communication skills and confidence to be successful in many career paths, not just in broadcasting,” says Quicke. 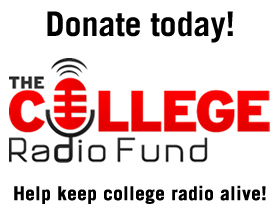 The College Radio Foundation is dedicated to promoting and supporting college radio in all its forms. Their signature event is College Radio Day (October 5, 2018), which typically sees hundreds of college radio stations participating across the country to raise the profile of college radio. For more information, please visit: www.collegeradio.org.